Windsor & Newton / Jas Lockley Award - voted most popular in exhibition. 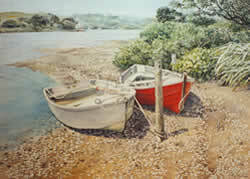 Park Royal Arts Award - 1st in watercolour section & overall supreme award winner. 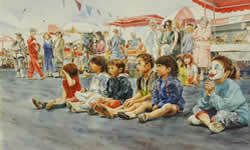 Royal Easter Show - 2nd prize for watercolour. 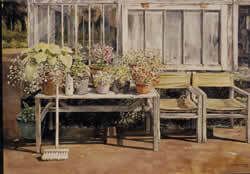 Iris Fisher Award - special award chosen by Mr Fisher, Gallery patron for best work. North Shore Arts Awards, Birkenhead Licensing Trust 1996 - 2nd prize. 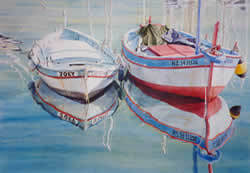 Wanganui Arts Society - Gas Centre Award for watercolour - 1st & overall exhibition winner. Auckland East Community Arts Council - voted most popular in exhibitions 96 & 97. 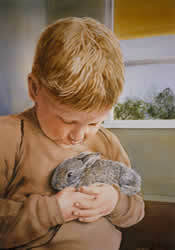 Royal Easter Show - highly commended for both works entered. 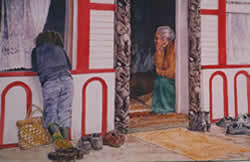 Paeroa Fesitval of Arts '98 Awards - 2nd & highly commended - watercolour. Cambridge Arts Awards - merit. 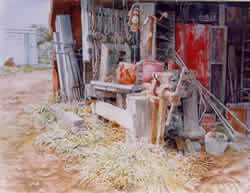 Snell's Beach Summer Festival Art Awards 2003 - 3rd Professional section [133 entries] plus 3 merits for other entries. 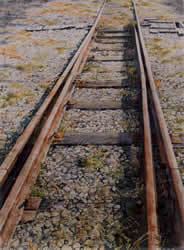 Molly Morepeth Canaday Art Award (Whakatane) - Jan 2003 - popular vote.